With digital communications on the rise, our reliable and innovative Faxing solutions (FAX2Mail, Mail2FAX and FAX2FAX) can bring an additional form of reliable communication, contributing to your organization’s success. Our enterprise fax solution implements security and compliance, and boosts your company’s productivity. 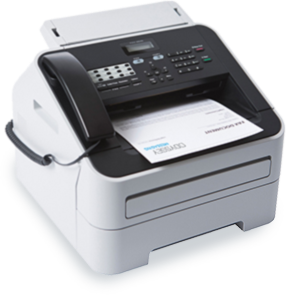 FAX is still considered as a required media in certain organizations and is an important part of corporate communication. Spontaneity, efficiency, reliability, universal recognition, ease of use, content neutrality and legal value, are some of the reasons why FAX is preferred by many businesses. Faxes are delivered in real time for single sending, and can be quickly broadcast for mass distribution. Compared with mail, phone calls or SMS, sending a fax to your customers and prospects tremendously reduces your communication costs. Thanks to receipt acknowledgement, fax provides security and can be used to send legal documents. No technical skills are required to send a Fax broadcast and it can be done directly from standard applications such as Microsoft Word or Excel.